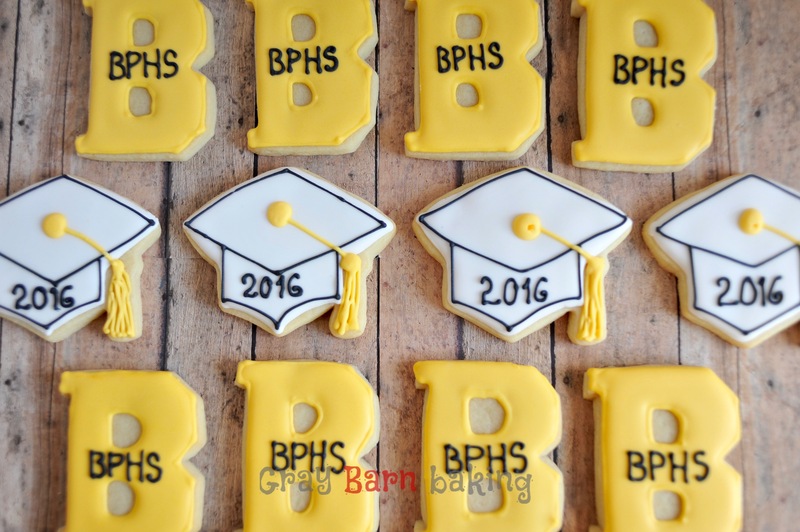 It’s almost graduation season, so start planning those parties! I really can’t believe how huge graduation parties are here in Ohio…much bigger than celebrations where I grew up. These are some examples of half-sheet cakes that are a good party-size and can serve a bunch when made with 2 layers. These 2 graduation cakes I did for a Poland Seminary High School graduate last year who was going to Ohio State in the fall. For this one I made a 3-d mortar board and decorated it with stars, sprinkles and fondant twists. Here’s the post that describes it in more detail. This cake is for a smaller celebration…followed by a group of specialty cakes. And you always need cookies, right?